Voting people out of communities has become a form of entertainment through reality TV shows, but the practice used to serve a more political purpose. Its name, however, has not changed since ancient times. It’s called ostracism. 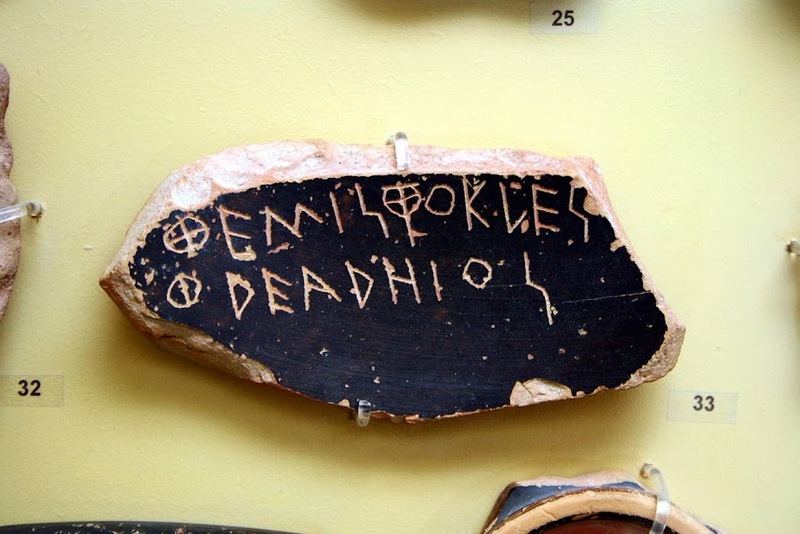 While the word “ostracism” refers to social exclusion today, it originates from an Ancient Greek practice that involved broken pieces of pottery and an actual vote. For about one hundred years starting in the early fifth century BC, several Greek city states such as Athens featured a yearly practice which consisted in two votes. First, the citizens were asked if they wanted to get rid of anyone in the city before the elections, in case someone was threatening democracy. 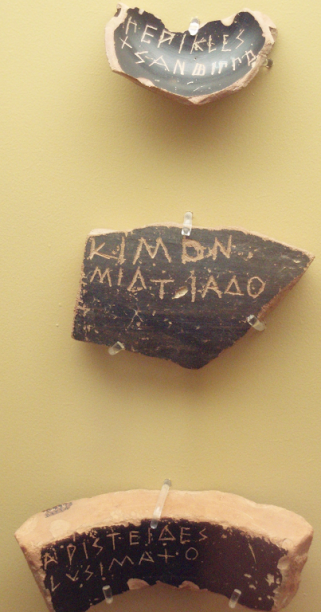 If a majority voted yes, then two months later there was a vote in which citizens would use a piece of broken pottery to write the name of the person they wanted to leave the city. Each piece was used as a vote, and the person whose name appeared the most times was sent into exile, for a period of up to ten years. 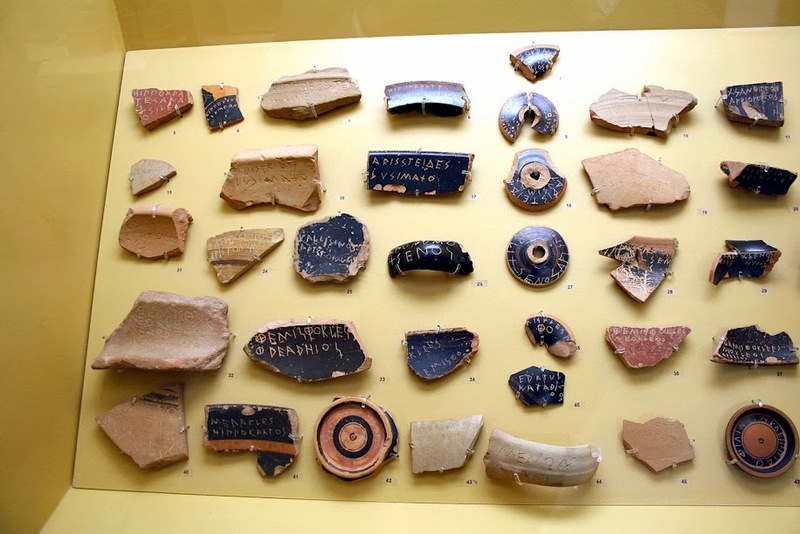 The Greek word for a broken piece of pottery is “ostrakon,” so the practice of voting individuals out of a city this way became known as ostracism. Broken pieces of pottery were used for less important purposes throughout the ancient world, as in Egypt, where they were often used as sketch pads. Free and easily available, they were meant to be thrown away after use, like scrap paper, but the Greek practice of political ostracism made their name endure.